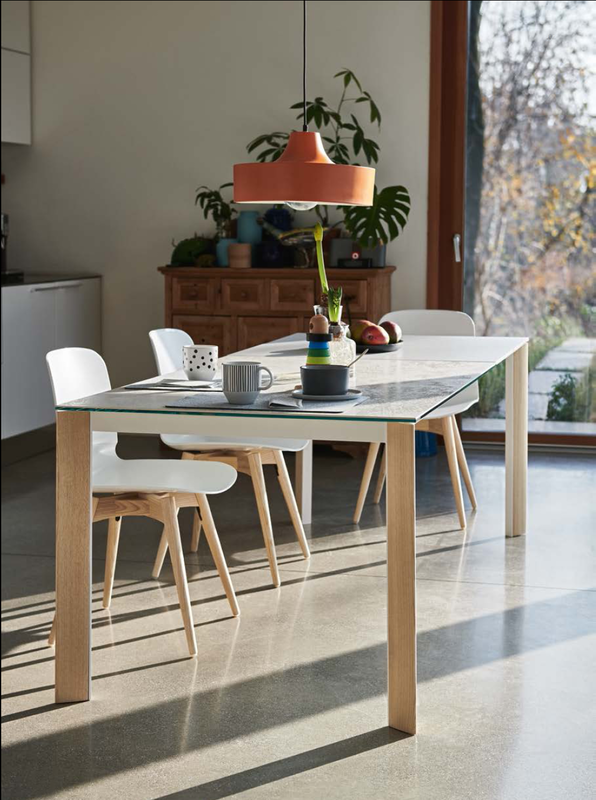 Extendable table with lacquered steel frame and legs covered in wood. Top available in melamine, lacquered wood, Fenix, crystal or crystalceramic. For the 140x90 versions available top in veneered lacquered finish flamed walnut.